We absolutely had a lovely visit to Boulder, CO after a very long driving trip. The farmer’s market was fabulous. I was so thrilled that the people behind the food stands actually GREW the produce. What a concept, right? They could tell us what type of food they had, which was amazing to me. The last time we went to a grocery to ask for sweet dumpling squash, the nice person putting out the produce had no idea what kind of winter squash she was putting out. She had to go get a sheet. Our daughter, who is a photographer in the making, had a blast taking pictures of items on her level. Some were actually better than the ones her parents took. We drove up to Estes Park, which was this neat little town in a valley (canyon) at the entrance to the Rocky Mountain National Forest. It was very quaint without being too touristy. Still, a little too far away from civilization for me. I will mention here that when we stopped for a well needed potty break at the visitor’s center, I checked the menus. Every single one of them had a vegetarian option. Even the ones that served elk! Cross contaminated I am sure, but at least they had an option. All in all, we had a great trip. I cannot wait until we can get there again, maybe next time for good. We’re back from our latest excursion west. It’s always good to get away. It’s always better to get away to a place that has vegan offerings. On this trip to Denver and Boulder we visited some places we’ve been to before and found some new ones. Most of our days were spent walking the streets of Boulder. A trip to the Boulder Farmers Market was made and I found what a Farmers Market should be. I have been to markets in other cities but Boulder does it right. All local, no vendors selling the same stuff that’s in the grocery store from a factory farm in another state. I bought some beautiful purple peppers that will be used in quesadillias and multiple squashes that my wife plans to use somehow in something tasty. There were many tables of apples so a big bag of these tiny Honeycrisp that tasted like candy had to be gotten. One vendor had nothing but mushrooms, every fungus you could desire. A bag of assorted fungus was procured. There were vendors selling baked goods, soups, breads and most of them were vegan. Asking if something was vegan was never met with a stupid look, only a smile and a yes. I’m always on the lookout for coffee and I found a few local roasters selling their beans. I picked up a pound of espresso roast from Silver Canyon Roasters and I write this with a cup in hand. While in Boulder we found a little coffee shop on Pearl Street and decided to give it a try. The Laughing Goat served a good cup of coffee and it wasn’t overpriced as most are. I did notice they kept their beans in a freezer which I have always thought to be a no-no. Maybe someone can tell me otherwise. As I had already picked up the beans from the farmers market I didn’t try these but the cup of coffee I had was very good. The girl working the register did give us a chuckle as someone came in and asked for a Venti. She pointed to their menu and said “These are the sizes we have.” Silly Starbucks sheep. Also in Boulder is Savory Spice Shop. We visited on their grand opening last year and found many spices that are unavailable in stores in Nashville. The owner was very nice and helpful and gave me some pointers for chili peppers. This time we got a few things needed for some dishes we’ve been wanting to cook. I also got some bhot jolokia chilis. They hold the Guinness Record for the world’s hottest pepper. The Scoville ratings for these peppers are over 1,000,000 and by comparison Tabasco Sauce has a Scoville rating of 2,500. They should be a great addition to my chili! We visited restaurants we’ve been to before and not all worked out as expected. A visit to Watercourse Foods had been planned for weeks in advance and it was one of the first places we went for lunch. I ordered the Buffalo Tofu sandwich with onion rings and sweet potatoes and wifey had the the Grinder with onion rings and broccoli. The kid munched on their Banana Bread French Toast which she gets each time and doesn’t leave a bite to be shared. Honestly, our going to Watercourse Foods had a lot to do with us wanting to just drink Oogave which they serve on tap, free refills. Our previous trips to Watercourse have been great but after only eating half of our meals we felt like boxing the rest to go, something I never do. About 15 minutes after we left both of us were doubled over in pain. I won’t go into details but we had planned on multiple visits to Watercourse Foods on this trip and after this one we were afraid to return. The kid felt fine and the only thing our meals shared in common were the onion rings so that’s where we placed the blame. Next trip we’ll try again but I couldn’t risk getting sick a second time on this trip. One night we were looking for a quick snack and after passing on all of the usual quick haunts we typically visit we reluctantly agreed on VG Burgers which, I felt, failed miserably on our last visit. Since we only wanted a basket of chili-cheese fries we thought they could fit the bill. We both shared a basket of chili-cheese fries and the kid had a basket of just fries. The fries were tasty this time but it just seems their portions are small for the price. It was pointed out to me by my wife that it is organic so what looked to be two potatoes worth of fries may well merit $2.99. Leave it to her to play the devil’s advocate. VG Burgers previously had Oogave with free refills but the refills had been nixed so $1.79 for a small drink didn’t work out. To their credit, they played Michael Franti the entire time we were there. I’m not totally giving VG Burgers a thumbs down on this visit but I just think it’s a bit pricey for what they serve. We located some new places and one of those was Sweet Action Ice Cream. Although not completely vegan they do have offerings that the animal-free crowd would enjoy. This is one of those ice cream places that makes it all on-site, my favorite kind. The day we went the vegan flavors were pumpkin and coffee, which I could only guess were meant to be paired into a pumpkin latte cone or cup with a scoop of each. The pumpkin tasted too much like frozen pumpkin puree so I passed. Coffee ice cream was never my favorite but this one didn’t have a strong coffee flavor so I got a scoop along with a scoop of lemon raspberry sorbet. It doesn’t sound good together but it worked out nicely. They also serve vegan ice cream sandwiches. Peanut butter cookie with vanilla ice cream and oatmeal raisin cookie with peach ice cream were the two choices they had. My wife walked around and looked through a window at their prep area and discovered a list of their vegan flavors which they rotate out. It looked like we picked the wrong day to have ice cream. Vegan flavors like Five Spice, Mothership Wit, Coconut Lemongrass, Coffee Yeti Stout, Garam Masala and Apple Spice were listed along with about twenty others. Unfortunately, a second visit to taste these creations didn’t fit in our schedule. On our way out of town we met Stephen, the owner of Oogave at their office to pick up plenty to keep us fixed until we return. A case of Estebans’ Cola, Esteban’s Root Beer and a case of random flavors was loaded into the car. Oogave’s cola is the best cola, hands-down, that you will ever find. Agave sweetened and all-natural, it doesn’t get much better! Seriously, this is some good stuff! We discovered many of new things on our trip but one thing we discovered was something we may have already knew. We belong in Boulder. There’s just too much for us and the feel of the town is a fit. More pictures can be found on Flickr. 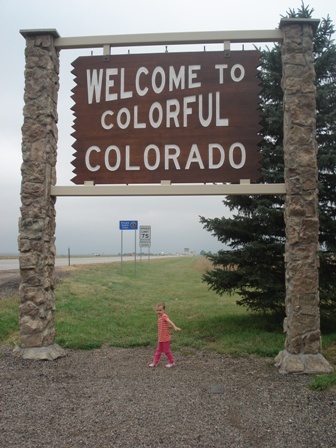 We began our first trip in 5 years to Colorado on Friday morning and arrived yesterday. We had planned on spending our first day in Boulder and our lunch was at VG Burgers. I had been looking forward to VG Burgers since finding out about the place and the idea of burgers, chili-cheese fries and milkshakes (all vegan!) was exciting to a foodie. After finding our hotel and getting the day of multi-state driving washed off we headed out. Being hungry VG Burgers would be the first stop. A small diner-ish place it looked perfect for finding good vegan eats. I had a 1/4 pound veggie burger, chili-cheese fries and an agave-sweetened root beer. My wife had the tempeh BBQ burger, large fries and the agave-sweetened cola and my daughter the nuggets and small fries. I think my expectations were too high or this place just doesn’t cut it. The microwaved patties were placed onto cold buns. I make a better veggie burger at home and to top it off the veggie burger selections are Amy’s patties. The nuggets are Boca, same you buy at the store in the frozen section and the fries, while baked, just seemed not fully cooked. I will give the agave-sweetened drinks good points but not enough to warrant a return trip. VG Burgers in Boulder would rank as some of the worst vegan food I have encountered and at the price, $36 for the three of us, it can’t get much worse. Burgers are $6 each and small fries are $3, far too pricey considering they are serving the same thing I can buy at a grocery store. Afterwards, we visited Pearl Street Mall and walked around for a few hours. Our last visit didn’t give up the time to see most of Boulder. We went to Savory Spice Shop where we bought some Black Onyx Dutch Cocoa for making cupcakes and fake-hostess cakes. They were having a grand opening and giving out free beer and wine, so a beer I had.